A busy NHS theatres department needs someone able to react, adapt and roll with whatever the day brings – because it could be absolutely anything. For Louisa Adams, Matron of Theatres at Sandwell Hospital, that also includes making sure both patients and staff are getting the best support they can. The 43-year-old from Halesowen joined the NHS in 2004 and is celebrating her fifteenth year working in the health service. 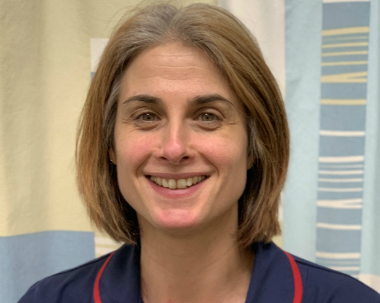 She spends her time looking to improve the service Sandwell and West Birmingham NHS Trust offers its’ patients, whilst at the same time helping to make the working environment for staff the best it can be. But how she actually found her way into joining the NHS was something of an accident. “I originally studied American Studies at University with a thought to lecturing,” said Louisa – who noted she could’ve even ended up a primary school teacher if the dice had landed differently. Louisa is responsible for the safe and effective delivery of patient care within the operating theatre, which includes ensuring standards are set and adhered too, helping to manage staff, and activity within the department budget, leading on clinical risk and health and safety as well as day-to-day management within the operating areas. It’s a fast moving role, and Louisa herself is pretty driven – managing to move up from a band 7 to a band 8A within a three month window – something she classes as a real career highlight. When not at work, Louisa enjoys spending time with her partner and children, reading, working out, cooking and enjoying time by the sea whenever she can.